50,000+ happy patients from over 100 countries have already experienced CUREplusTM Homeopathy treatment process. The Homeopathic treatment process, developed and refined at Welling clinics by a team of experienced Homeopaths with machine learning from an advanced homeopathic software. To give you faster recovery, naturally without any side-effects. Get started today. We have patients from all major cities of the world. Of pre-treatment analysis through express delivery. So start the treatment today. No tall claims, no false promotions, just an old style doctor consultation, through state-of-art online treatment platform, that helps you recover completely, safely and quickly. We are proud of our treatment process and the quality checks that we regularly do to offer you best homeopathy treatment world-wide. The medicines are packed and sent to you after the pre-treatment analysis is completed. So start today. Start the treatment by choosing the treatment details in the form below. Complete the payment formalities depending on the options chosen while filling the form below. Login with the details sent to you on registering. Fill the pre-treatment analysis form in as much detail as possible. The treatment will be chalked out for you based on the details you fill here. Our specialists will decide if any additional information is required based on the questionnaire your fill. Accordingly a video call would be planned with you. Our Homeopathy treatment is not the old style, slow acting Homeopathy. We have adopted latest research in Homeopathy and developed our treatment protocol to help you recover faster. It can only take more time for recovery when the illness is of longer duration, but trust our experience, you will get well. Welcome to the online consultation & treatment platform of Welling Clinics, the internationally awarded clinic for quality in healthcare at Geneva, 2012. Now get the benefits of our tried and tested Homeopathy treatment protocols for your health problems. Getting dedicated senior Homeopathic consultants for your online treatments, makes all the difference between getting cured and suffering more At Welling Clinics, we have mastered the techninque of offering online consultation and homeopathy treatment to any part of the world through our state-of-art treatment platform. With an experience of 17 years in the practice of authentic Homeopathy, we try to deliver the most authentic experience of getting treated through our homeopathic clinics in Mumbai. This service is supported by Welling Healthcare Private Limited, an ISO-9002 company and being awarded the Best Emerging Healthcare Company. Be a part of 50,000 + satisfied patients from 100+ countries. We have built an online platform with the cutting edge technology and multi-layered security to replicate the same experience that a patient gets when visiting Welling Clinic in Mumbai. Our team of doctor will deliver the same quality online, for which we have won accolades internationally especially the prestigious quality management award in International Quality Convention, Geneva for 2012. We have developed the Homeopathy treatment processes that take the efficacy of Homeopathy treatment for general and complicated illnesses a notch above all the traditional clinics and conventional treatments. Our intention is to make the process of taking our Homeopathic treatment easy and comfortable. 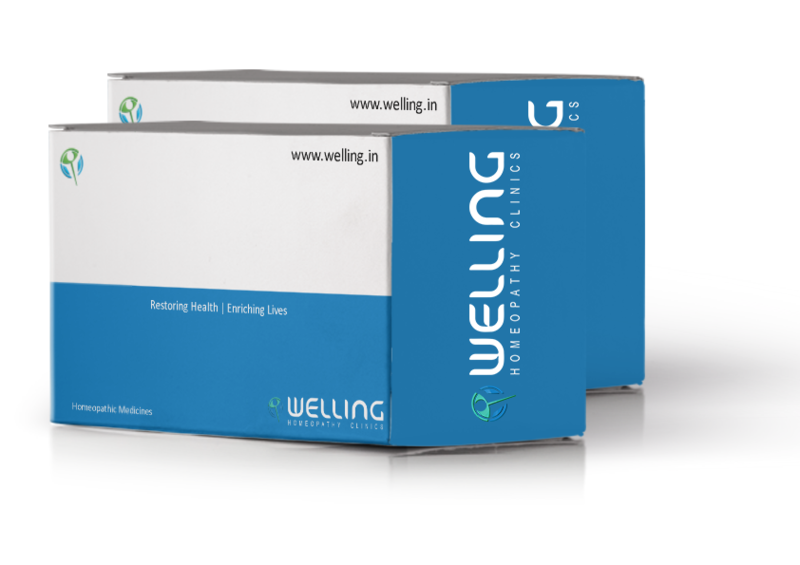 Welling Clinic is an award-winning, premium Homeopathic clinic in Mumbai, supported by Welling Healthcare Private Limited. The interactive and effective use of online technology, multi-layered security and world wide delivery of Homeopathy medications through our headquarters in Mumbai has helped us deliver the goodness of traditional Homeopathy combined with the latest break-through in clinical science to every corner of the world. Let us make you well again. For speciality infertility treatment click here.